When Lisa McCoy of Manchester was killed in September, allegedly by her husband, the community, her closest friends and her colleagues were shocked. Domestic violence resulted in 81 murder victims in 2017, according to Tennessee Bureau of Investigation (TBI) reports. A “huge problem” related to domestic violence plagues the community, according to Jennifer Singleton, regional coordinator for Haven of Hope. The organization helps domestic violence victims. In 2018 alone, Haven of Hope served 300 local survivors. 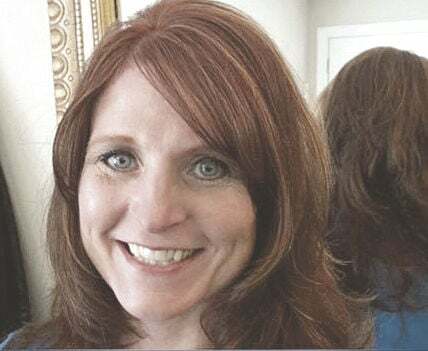 When Lisa McCoy was murdered last year, allegedly by her husband, the community was shocked by the sudden and senseless loss of a woman who friends described as sweet, always smiling and concerned about other people. Her friends and co-workers at Marcrom’s Pharmacy were so devastated by McCoy’s death that in the six months since, they have held two fundraisers, dubbed Shining a Light, to raise awareness of domestic violence and funds for local organizations dedicated to helping victims. Responding to a report of a domestic dispute, Manchester Police arrived at a Duck River Road home in the early-morning hours of Sept. 10, 2018. When officers entered the house they found the body of the 46-year-old mother shot several times in the head and partially dismembered. Lisa McCoy’s husband, James Rick McCoy Jr., 54, did not resist when police officers arrested him after finding his wife’s body, according to Coffee County District Attorney Craig Northcott. James McCoy was charged with first-degree murder, tampering with evidence, abuse of a corpse and domestic violence. He remains in the Coffee County Jail, where he is being held without bond while the case makes its way through the legal system. While Lisa McCoy’s death and the lasting effect on her friends and loved ones was especially brutal, stories like hers are not uncommon. According to statistics from the TBI, across the state 81 people died as a result of domestic violence in 2017 alone. That same year, 77,355 people were identified as victims of domestic violence. More than 55,000 domestic violence victims in Tennessee were female, and 21,983 were male in 2017, according to TBI statistics. While domestic violence affects both women and men, statistically, women are more likely to fall into the vicious cycle. Data show one in three women and one in four men will become victims of physical violence by an intimate partner within their lifetimes. Under Tennessee statute, the term for the crime of physical domestic violence is “domestic assault.” It is not limited to physical abuse, however. In addition to physical abuse, domestic violence includes emotional abuse, financial abuse, sexual abuse and spiritual abuse. One of the local organizations that focuses on supporting victims of domestic violence is Haven of Hope. “We definitely have a problem,” said Haven of Hope Regional Coordinator Jennifer Singleton, who has worked for the shelter for 11 years. “We served 300 victims in this office just last year, over a 12-month span,” Singleton said. This issue impacts individuals of any age, gender and social status. Domestic violence crosses gender boundaries. Often, men suffer abuse too, but deny the problem exists for fear society may find them weak. And though individuals of any social status may become victims, the threat for some is stronger. Factors associated with higher risk of domestic violence include being a woman, low income and antisocial personality traits. Childhood risk factors, such as exposure to violence between parents, experiencing child abuse or neglect and experiencing sexual violence, also increase the danger. What stops victims from leaving? Once individuals find themselves in a situation of being overpowered and controlled, they face various hurdles making their way out very difficult. A lack of resources is one of the toughest barriers to clear. Survivors usually don’t have funds for transportation, child care, clothing or housing. Often, victims lack personal resources, such as skills to support themselves and their children, and social resources, including support from family and friends. There is a waiting list for public housing. To be accepted into public housing can take anywhere from 12 to 18 months, according to Singleton. To better handle this position of economic disadvantage, advocates with Haven of Hope focus on helping victims prepare for the moment they make the decision to leave. Haven of Hope provides shelter for victims any time they need it. In addition to lack of resources, many victims of domestic violence are scared to leave. They may be afraid their batterers will kill them, or that the violence against them will increase, based on previous experiences. Another reason some women stay in dangerous relationships is that their abuser is the father of their children. Victims are often afraid the batterer will take the children away from them. Often, survivors are scared to leave because they know the batterer may hurt another family member or a pet. Social norms and beliefs may also stop survivors from leaving. Victims sometimes have a strong desire to hold the family together. Their beliefs make it harder to separate from an abusive partner. Other family members may even put pressure on the victim to stay. Many victims are afraid to ask for help because they may not be ready to leave their abuser yet. But the advocates with Haven of Hope know this anxiety exists and that leaving may not be the best option. Haven of Hope advocates help victims prepare a safety plan. In the situations victims go back to their relationships, advocates prepare them to have a plan. “If they are not ready to leave and have things they need to work through, we are supportive of that,” Singleton said. Once victims decide to leave, they need to learn to rely on themselves, and adopting and embracing that mindset often requires professional help. Achieving self-sufficiency is extremely important to prevent victims from finding themselves right back in a bad relationship, just because they are desperate to be co-dependent again, said Singleton. In addition to counseling available at the Haven of Hope office, grants allow the organization to provide professional therapy sessions for the victims. It has been very rewarding to see some of the victims become independent, said Singleton. Some of the individuals served by Haven of Hope stop by the office to thank the advocates and tell them their support “has made all the difference in the world,” said Singleton. In order for a success story to become a reality, the victim needs to decide it’s time for a positive change. Resources are available, and Leaving is not an event, it is a process, said Singleton. Opportunities exist for community members to help. “Some people can just go and read to kids at the shelter, some people may want to help with clerical things, and some people can help us with awareness events,” Singleton said. Anyone interested in volunteering with the Haven for Hope is invited to complete an application at the organization’s office, located at the Coffee County Justice Center in Manchester. For more information, call Haven of Hope at 931-723-3852 or visit www.domesticshelters.org.